All participants will take home print-outs on the cheese making process, as well as kefir culture, kefir cheese & bottle of whey. We will be working a lot with all that you can do with milk kefir to make easy probiotic healthy cheeses, what you can do with whey and have lots of tasters. I’ll share what I’ve learned about keeping and milking my own dairy goats. Some exciting news for those of you that are interested but not booked yet : there are a few places left and to be sure that it’s a full house Fumbally has decided to do an offer of 2 for the price of one tickets to my Natural Cheesemaking workshop on Saturday! In order to avail of this offer : contact me by text or email to let me know you want one of these deal tickets and then follow the link on the Eat: ith website. There’s only a few of these 2 for one tickets available! First of all thanks to everyone who attended the last two fermentation workshops in Hunting Brook. After the success of the last 2 part series on Wild and cultured drinks and Basics of food fermentation, Courtney is happy to announce the next round of this popular series. They will take place on Sunday 12th November 2017 5-8.30pm and on Saturday 25th November 2017 from 5-8.30pm. If you learn best by seeing and doing, you’ll enjoy the hands-on approach where you will get involved in the process and taste plenty of samples. The price includes a mother culture of your choice and/or a fermented item made in class to bring home with you. More information, including how to secure your place on each workshop is at the links above. How to brew water kefir. I think I’ve decided that water kefir could be my favourite ferment of them all. It’s exciting to me to have such a healthy fizzy herbal soda, where I can control the quality of the ingredients. It’s also done in such a relatively short period of time from start to finish. I’ll try and lay out the bare bones basics of how easy it is for those of you who ask me! Dissolve approximately 3 tablespoons of sugar in a mug of hot water. Stir to dissolve. Top up with another 3 mugs of cold water. Add the grains. I usually use a glass vessel of 1-2 litre size for this- and once the grains have been added to the sugar water I cover the top with a cloth or tea towel and rubber band. If I have a spare lemon in the house, I might also squeeze in a half lemon at this point, but this isn’t necessary. Let this sit out at room temperature for 24-48 hours. Taste from time to time and when it’s at an agreeable level of less-sweetness and not too tart, I strain the grains from the liquid. Repeat the 1st step with the grains- as they need this sugar water to ‘survive’. 3. Take the strained water kefir liquid and here’s the fun experimental part: either drink as is/ add lemon or flavouring, add to a smoothie or fruit juice if you don’t want carbonation- it’s ready to drink anytime! or if like me, the fizz is what you’re looking for- bottle the water kefir liquid into a Grolsch beer bottle style clamp down lid bottle (or a plastic bottle for those who err on the side of caution- take note that this can create a dangerous amount of carbonation- be warned!) and sweeten with a cordial, syrup, fruit juice, fresh/dried/frozen fruit of choice, ginger, lemon juice, or a sweetened herbal tea. It’s best if you make it slightly sweeter than your preference at this stage as the extra sweetness will be what creates your carbonation. Clamp down the lid firmly, label your bottle with your flavourings and the date- and leave out another 12-24-48 hours at room temperature, then move to the refrigerator. Chill and enjoy! The benefit of the plastic bottle, especially as you are learning, is that you can ascertain when the bottle has fully carbonated, as the fizz will expand the plastic bottle and it will become rock-hard. As soon as this happens, you can move to the fridge and enjoy when cool. Be warned: If you don’t use a glass bottle with the rubber grommets/ gasket, there is a very real risk of the glass exploding. Best if made and drank within days as the carbonation will keep building up as fermentation progresses. fresh apple juice added 1/4 to 3/4 water kefir makes a lovely light effervescent apple fizz. Or as always, I highly recommend you visit Cultures for Health website and find a rich resource of information including their free ebooks which you can download. 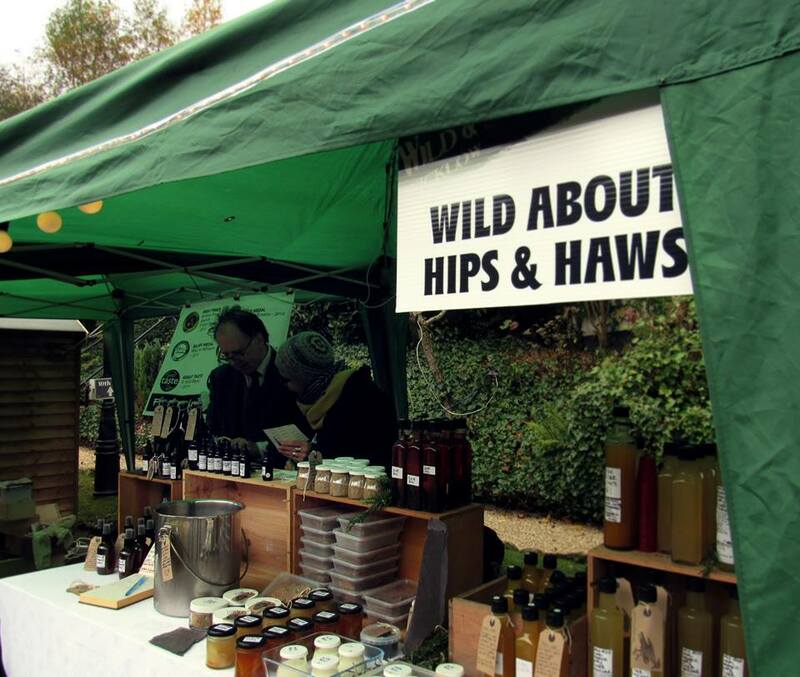 I set myself the challenge of participating in this years Wild and Slow Food festival in Macreddin Village. 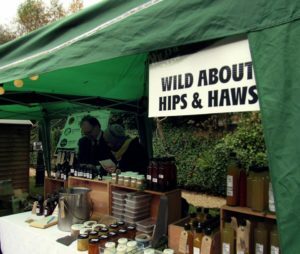 Being that its something I have been looking forward to for the last 2 years (since it last took place), and how much I enjoyed the ethos, the speakers and the stalls- I applied to have my own stall selling my local wildcrafted, foraged wild food products. 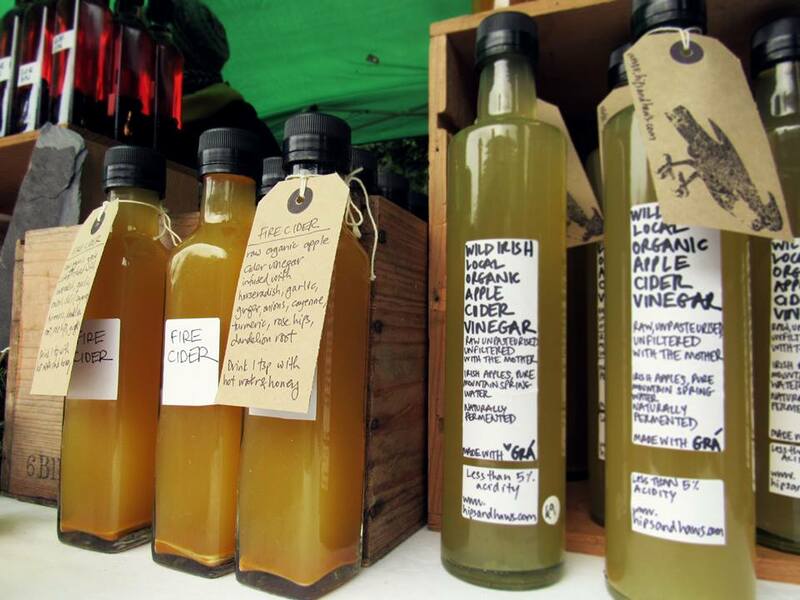 I spent 3-4 months this year making apple cider vinegar from scratch using the local organic apples that grow around me in abundance- using natural fermentation methods and Angie’s natural spring water from Carraig Mountain. I produced a raw organic apple cider vinegar that I was proud of! I tested the pH before bottling to be sure that it was under 5pH in order to be safe for food preservation methods- and indeed it tested at about 3-4pH. 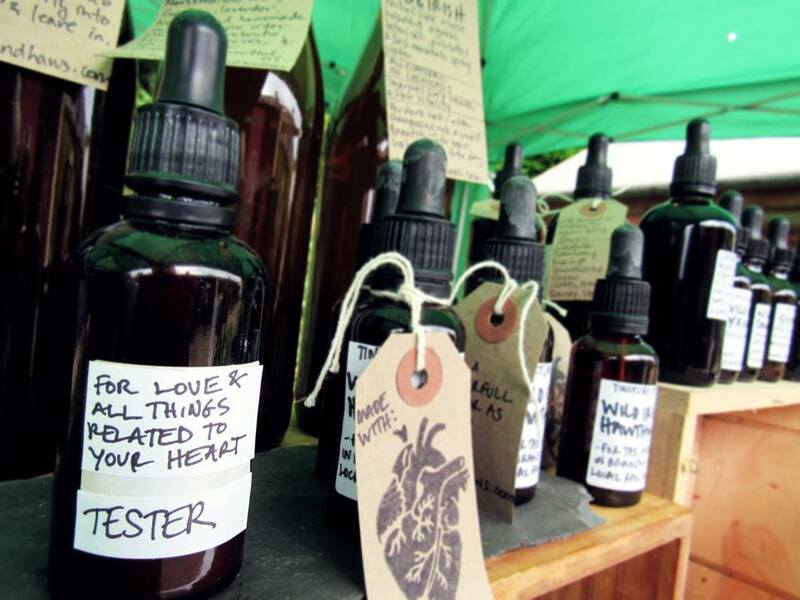 I bottled some vinegar live and raw, plain and the rest i infused with local herbs and flowers and organic spices. I made a fiery tonic called Fire Cider- guaranteed to get your circulation going and to clear out any sinus issues. 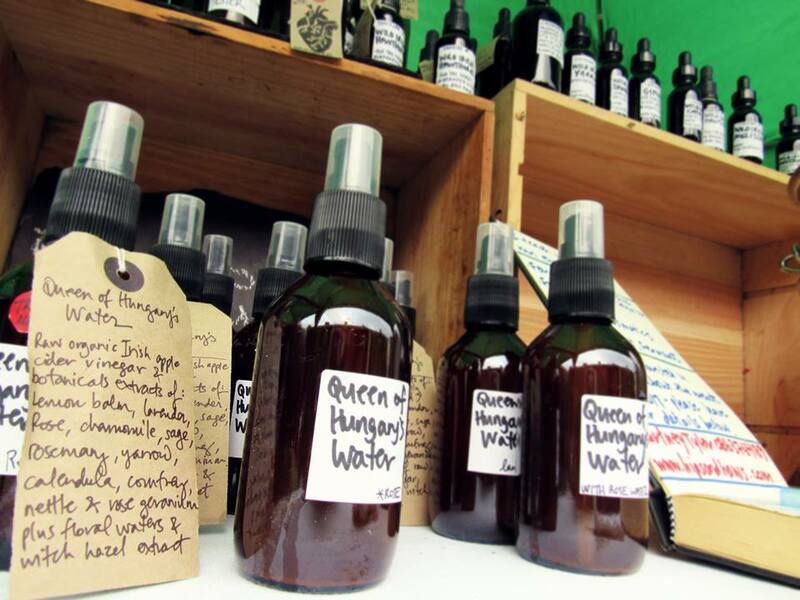 I also made the old gypsy remedy Queen of Hungary’s water. Both recipes in fact were thanks to Rosemary Gladstar- and both were slightly modified to what I had growing locally around me in abundance. Along with the fire cider, the most popular product was my gomasio. This I made with organic toasted crushed sesame seeds, mixed with sea salt and with the added wild ingredients of local porcini/ cep powder, nettle seeds and wild garlic. Tinctures, wild berry kefir sodas, seed crackers, sloe gin, and cultures such as water kefir, milk kefir, mother of vinegar and kombucha were also on sale for the weekend. Due to the success of the first Forage Feast Ferment we are happy to announce the next event which will take place on Sunday 22nd May 2016. Run in a beautiful forest setting, this is a perfect invitation to spend the day re-connecting with nature. Only 40 minutes from Dublin, 15 minutes from Wicklow town, yet it feels lifetimes away from the hectic-ness of city life. Angie Kinsella and Courtney Tyler will offer a day’s retreat to meet other like-minded people, practice mindfulness in a natural setting, and an intro to foraging and food fermentation. The morning will start off with coffees (would you prefer normal coffee or dandelion root?) and teas and a fun introduction followed by a walk in the woods identifying some wild and medicinal plants, trees or herbs that can also be used as a food. A healthy meal will have been prepared in advance by Angie and Courtney that will feature some local, seasonal, fermented foods and drinks. This will be followed by an introduction to food fermentation. There will be samples to taste. Everyone is welcome from the beginner to the experienced. 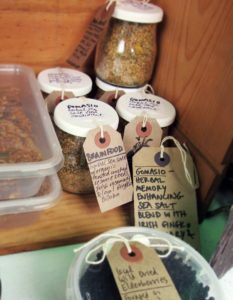 What we enjoy about foraging, food and fermentation is that there is always much more to learn. Please bring some comfortable walking shoes and wellies if needed. Warm and dry clothes to cater for Irish weather. Bring a notebook, a basket and yourself. The event will take place rain or shine! Payment in full of €85 per person by the 15th May. We offer a deal price of €150 per couple or if you bring a friend and book at the same time. Early bird price of €75 each if paid in full before 7th May. Children under 12 are free, but must be booked in. 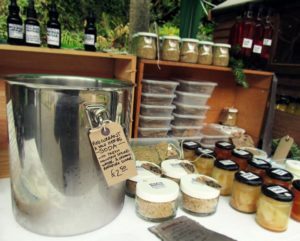 The next beginners fermentation workshop will take place on the last Thursday of April in Common Ground in Bray. Again it will run from 8-10pm. 28th April 2016. Don’t forget to add it to your calendar! We will cover kombucha, kefir (water and milk) and sauerkraut. I will bring some samples of these delicious products for you to taste on the night and we’ll make a batch of sauerkraut on the night. If you want to bring your own cabbage, jam jar or 2, knife and chopping board we can make it together! Up to you, you can watch, or take part. Booking is essential- book here to secure your place. The cost is €20 for the evening or the discount of €17 for current Common Ground members.